It’s not something that we often think about when we’re flying, but it’s precisely what makes modern air travel possible. The cabins on airplanes need to be pressurized so that they can fly so high. In the days before pressurized cabins, airplanes would fly relatively close to the ground. But if you take an airplane to 30,000 feet without pressurizing the cabin, really bad things start to happen—like not being able to breathe, and bleeding from the ears and nose. One passenger, Darshak Hathi, captured video from inside the plane after things had calmed down a bit. As is almost always the case with these terrifying videos, at least one passenger can be seen not putting his nose in the oxygen mask, a dangerous mistake you must avoid if you ever find yourself in a flight emergency. Another passenger expressed anger about the incident on Twitter, saying that there were no instructions from the cabin crew about using the masks after it was clear that something was terribly wrong. Passengers reportedly complained that oxygen wasn’t flowing to the masks, something that Jet Airways disputes. The aircrew that was involved has reportedly been taken off active duty until an investigation can be completed. Thankfully, the plane descended and was able to land safely back in Mumbai after about 45 minutes in the air. Jet Airways released a statement on Twitter explaining that some passengers had to go to the hospital. “5 guests who were referred to a hospital for additional medical check-up accompanied by the Jet Airways Care team have since been released, post medical examination. We will continue to offer necessary medical care and attention to the concerned guests as required,” Jet Airways said in a statement. 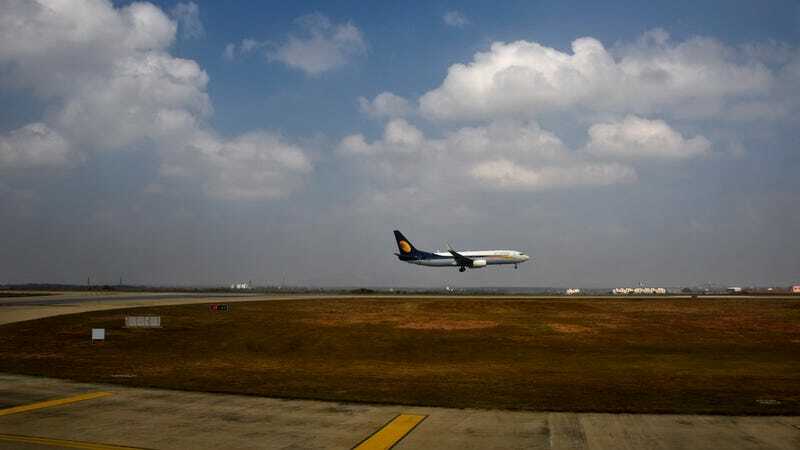 Some of the passengers opted not to continue traveling that day, but 144 of the 166 passengers did find other flights to Jaipur, according to Jet Airways. It’s hard to blame the passengers who opted to just cancel their trip for now. I’m not sure I’d ever step on an airplane again.